As a way of documenting the DIY Income Investor approach I thought it might be useful to post about my new investment decisions - and then to track the portfolio of new purchases so that you can see how they work out over time. These are real purchases - not a 'fantasy' portfolio. All my purchases will be on the London Stock Exchange, using a Self-Select Stocks & Shares ISA. The first purchase is an Exchange Traded Fund (ETF) called iShares FTSE UK Dividend Plus with the stockmarket ticker symbol IUKD. You may recall that ETFs are Level 4 of the Income Pyramid. ETFs are a collective investment - the fund is based on a collection of assets of a similar type, so a major problem with one particular company or asset should not cause a catastrophic loss. The downside is that returns are lower than you might make with the 'best' example of that asset class - but then that 'best' example might go bust! ETFs are transparent, cost-efficient, 'liquid' vehicles that trade on stock exchanges like normal securities - so they are easy to buy and sell. In this case the ETF invests in physical index securities and offers exposure to the 50 highest yielding UK stocks within the universe of the FTSE 350 Index, excluding investment trusts. Most of my other holdings of shares are from the FTSE 100, so this ETF gives an opportunity to hold some of the smaller companies as well. The FTSE UK Dividend Plus Index Stocks are selected and weighted by one-year forecast dividend yield. There are 54 current holdings, with a heavy weighting towards Financials (nearly 27%), Consumer Services (over 22%) and Utilities (18%). This concentration in a couple of sectors is something I would normally avoid in my own direct investments - but I'm hoping that the larger number of holdings will help to dilute any risk of significant loss following a problem with one or two of the companies. 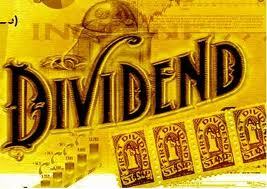 The fund distributes dividends quarterly, with a current distribution yield of 4.84%. As the ETF is invested within an ISA, there will be no further tax to pay (beyond the normal 10% Dividend Tax, which cannot be avoided). I bought 550 units at a price of 739p (shares are usually prices in pence on the London Stock Market) in mid-March 2011. I'm planning to hold this for a long time - as a particular 'flavour' of low-risk income. As the market was depressed when I bought (following the disasters in Japan) I am expecting some short-term capital growth; it will be interesting to see if there is also some growth in dividend income over time. IUKD is not a perfect investment, however (what is?). There was a discussion at Motley Fool on this ETF when it was launched as well as an analysis of the costs of an ETF (compared to the more sophisticated DIY approach - which I would expect most investor to advance to eventually). A more recent appreciation is given here - the sentiment is that it is perhaps more a capital growth seeker using income streams as a buy/sell signal. As Motley Fool's Todd Wenning has pointed out in a recent article 'Why dividend yield is over-rated', IUKD does suffer from a sector concentration is also the inherent flaw in other dividend-focused ETFs. The ETF weights its holdings by dividend yield alone - i.e. the higher the yield, the larger its percentage of fund assets. This strategy backfired on the IUKD during the financial crisis when hundreds of companies cut or suspended their dividend payouts and the ETF's distributions were halved - its three- and five-year performance has lagged its benchmark by double-digits. This sector concentration still exists today - nearly 77% of the ETF's holdings are invested in just four sectors: Financials/Insurers (30%), Consumer Services (20%), Utilities (17%), and Industrials (9%). The ETF's sector concentration could therefore backfire yet again. Motley Fool's Maynard Payton criticises IUKD's performance by comparing it with the performance of the FTSE 100 index. He notes that the investment criteria have been changed but is still not convinced.